Saturdays in the Sunset neighborhood Charlotte, there is a vibrant farmer’s market. But this farmer’s market is a little different than most. It is run by Sow Much Good, a non-profit organization dedicated to offering healthy, fresh food options to marginalized and underserved communities, educating people about healthy lifestyles, and working to advocate for food security for all.This ambitious project was started in 2008 by Robin Emmons, Sow Much Good’s Founder and Executive Director. Emmons is this month’s Women AdvaNCe Woman to Watch. A North Carolina transplant from Boston, Emmons came south in 1992. Emmons came to a crossroads in her life when her brother, who has a mental illness, became borderline diabetic and hypertensive due to the lack of access to healthy food options in his transitional housing. Something clicked for Emmons, who has always had a passion for social justice and a green thumb. She dug up her quarter-acre backyard and started growing food on every square inch of it. This led to the founding of Sow Much Good. 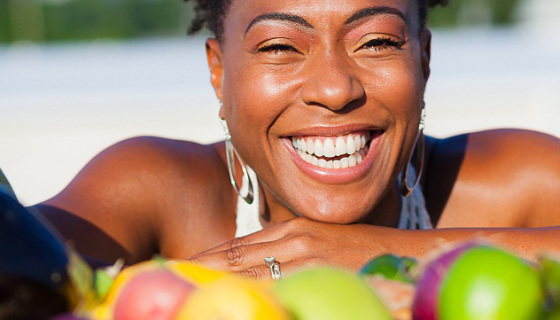 “I looked around my community and saw that there were a lot of people like my brother who were also suffering from the ravages of food insecurity, lifestyle diseases, and diet control,” Emmons says. “Here I am ten years later with ten acres and chickens and bees and a market and a CSA [community supported agriculture].” Sow Much Good does indeed do a lot of good. 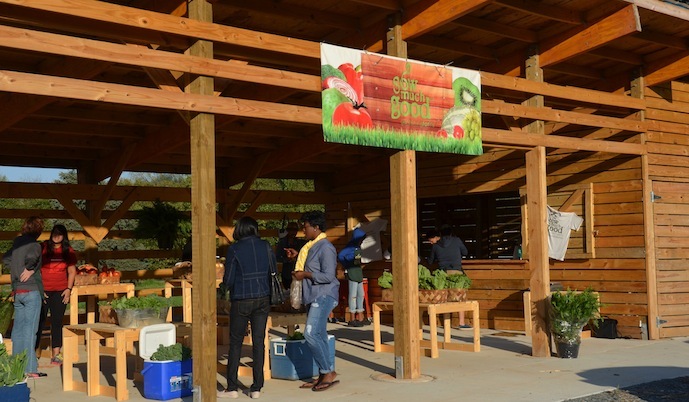 Emmons sets up farmers’ markets directly in low-income communities, offering several payment options, including the acceptance of EBT/SNAP benefits. Food is priced at a lower cost than a traditional farmer’s market, and, since her farms are on urban land in Charlotte adjacent to the market, customers can see exactly where their healthy food is coming from. It is truly farm to table. Sow Much Good also offers an affordable CSA program where they deliver vegetables across the city, challenging the models of access that make it difficult for lower income individuals to get healthy food at an affordable cost. The organization also offers many programs including a grow your own program where, like Emmons, people can learn how to grow food in pretty much any environment, from a backyard to a balcony. Recently, Sow Much Good inaugurated a Women’s Wellness Program, educating women on healthy lifestyles, encouraging mutual support and community engagement. And that is really what Emmons is all about: building community. For her, the Farmers’ Market is where it’s at. “The market is just such a wonderful space, not just for all the healthy food,” Emmons remarked. “The market meets a need that we scarcely admit to having, which is a need for connection. I think the conversations that happen in that space are just beautiful, as are the stories that come when the people in the community say that they’ve changed their diet and they’ve changed their life.” Sow Much Good is now eight years in, and it has grown in leaps and bounds. But Emmons is not stopping here. She sees her next challenge as figuring out a way to make the model she’s set up in Charlotte available and replicable for other communities. In particular, she is passionate about the right for everyone to be food secure. And she has some idea about how women can help. “I think it’s a matter of women really reaching out to leadership to make needs known,” Emmons emphasizes. “Real lives and real human stories need to be shared.” Emmons also understands the needs for legislative advocacy on policy issues. “We have power in the masses to use our collective voices as women to advocate for what we want in our communities. We can hold our elected officials and representatives accountable for the policies that are rolling out. I think that there are all of these ways that we can use our voices, use our power and our privilege to make change.” Emmons highlights the problem by offering statistics about food deserts in North Carolina, which is considered an agricultural state: “In 100 counties in North Carolina, 57 identify as food deserts or food insecure.” She is hoping to get other farmer’s markets on board with her plans to make more healthy foods more available to more people. She encourages outreach and publicity. “There is a kinship in food, there is an intimacy in food, and there has to be some outreach to people to make them feel that they are welcome.” Emmons has dedicated her life to this cause, and she is making visible and long lasting changes in her community. She has planted a seed, and it is up to all of us to help it grow.